The Garden Plot: Showy colors throughout the summer! Showy colors throughout the summer! Summer's here in all its glory. The days are long, hot and steamy, and celebrations like the Fourth of July are upon us. Whether you're planning a backyard barbeque or a summer bash, it's easy to add a blast of vibrant color to your outdoors with new Bloomtastic! tropical plants from Hines Growers. 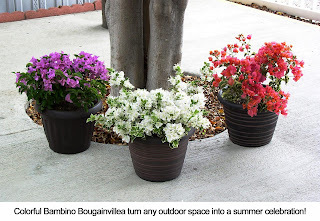 Their new varieties of bougainvillea are bred for easy color, abundant flowers and create an instant "party in a pot." It's a snap to get your red, white and blue on by placing ready made containers of new Bambino and Babybino bougainvillea throughout your landscape and on your deck, patio, balcony or poolside. They're easy to grow and more compact than typical bougainvillea. Best of all, the eight new varieties will keep on giving splashes of intense tropical color throughout the summer and into fall! 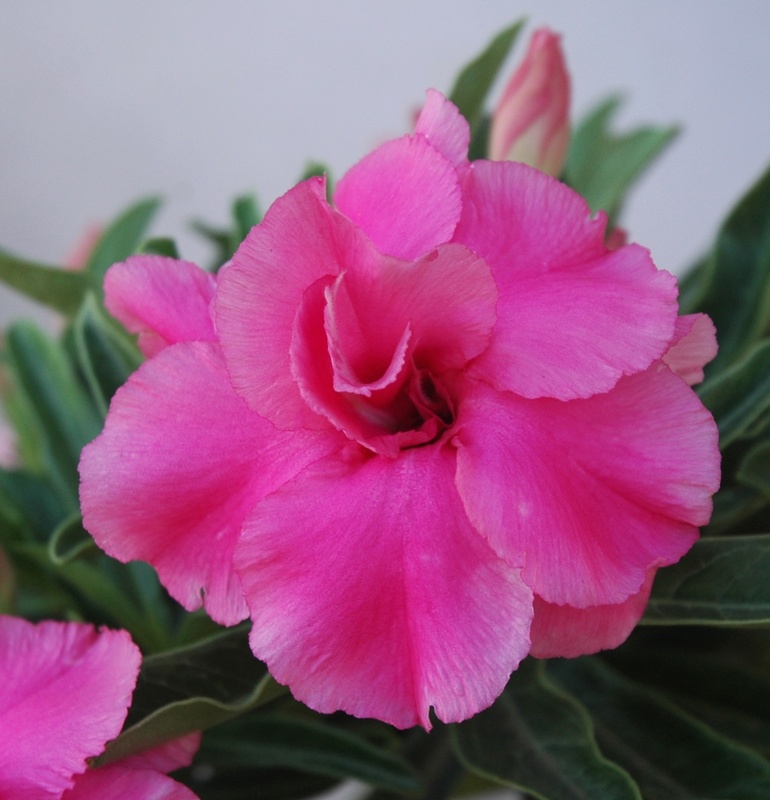 For a touch of the exotic, add containers of Hines' new carefree Desert Roses, Adenium Kissable Pink, Blush and Red to your outdoor spaces. The striking flowers rest atop an unusual caudex that has a bonsai-like appearance. Plus, they can be over-wintered indoors, ready to bloom again next spring. Let us know if you're trying the new bougainvillea and Desert Roses for the first time. Share your photos and let us see your creative flair in your backyard! Such vibrant colors! Summer sure is all out with the colorful blooms.